Online Custom Shopping Cart for Book Store -This shopping cart was designed from the ground up in order to allow the visitors to buy books online. It is fully integrated with a credit card processing service called a merchant gateway. 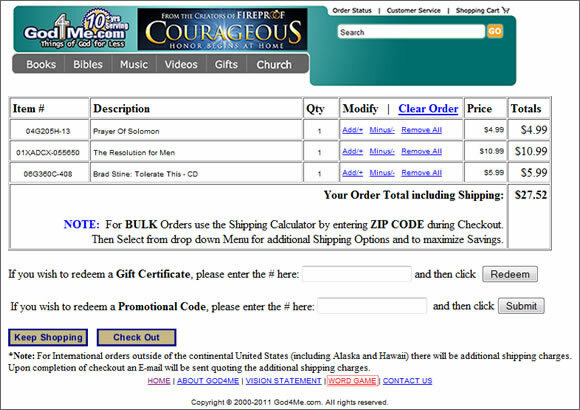 It can be customized for coupon codes as well as other discount offerings. This is the most expensive way to go because everything is fully customized to the customer liking.